- Objectives must be completed before 2359hrs daily. 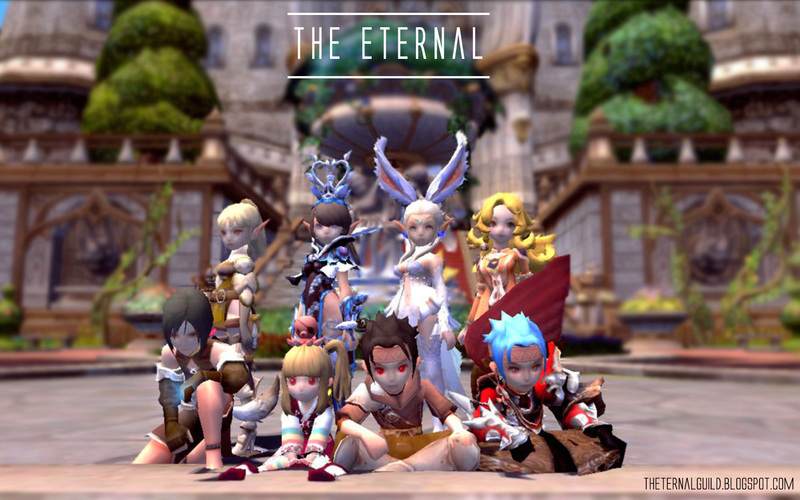 - Players are responsible for their dungeon limits. - For login event, timing will be accumulated. For example, a player can choose to login for 2hrs straight or choose to login 1hr in the day and 1hr in the night. Players do not have to worry about disconnections as long as sufficient hours are clocked for the day. - Players are encouraged to do a re-run should you encounter any disconnections during your attempts in any of the objectives. 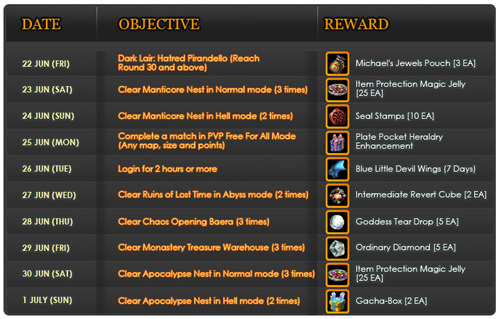 - There are no requirements for PVP objectives as long as the mode is correct. 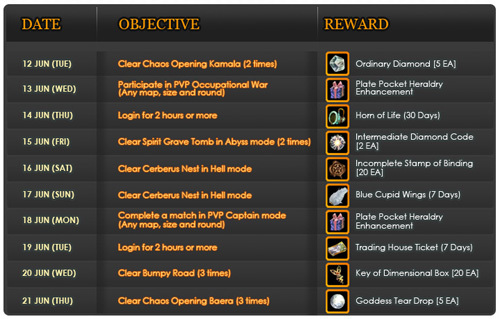 - Players may choose to solo or party up for any of the dungeon related objectives. 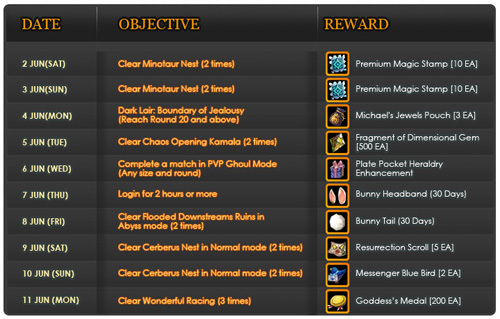 - Rewards will be credited to all eligible characters on the next working day(Monday-Friday) before 2359hrs. - Admin decision is final.